What Training Does a Chiropractor Complete? Perhaps you have recently suffered an injury and are looking for a chiropractor in Middle River MD. If you have questions about whether chiropractic care is good for you, please read on. You will learn about the qualifications held by chiropractors, including Dr. Neil Cohen at Comprehensive Spine & Sports Center in Essex. 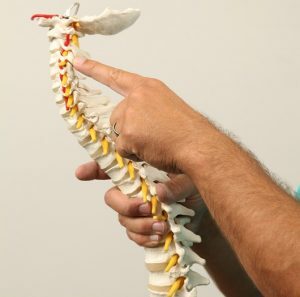 What Schooling is Required to Become a Chiropractor? Many people wonder about the education required to become a chiropractor. After all, given that they adjust the spine, neck, and other areas of the body, it can be a scary thought to let just anyone work on you. It may comfort you to know that educational and licensing requirements for a Doctor of Chiropractic (D.C.) are among the most stringent in the country. A person interested in becoming a chiropractor follows a similar path to what a medical doctor would. Before applying to a chiropractor college, typically one completes a four-year pre-med undergraduate degree. This degree includes courses in organic and inorganic chemistry, biology, psychology, physics, and related lab work according to the American Chiropractic Association. After they complete their pre-med degree, a student spends four to five years in a doctoral graduate school program at a nationally accredited chiropractic college. Here they focus on healing sciences and a minimum of one year in clinical training. In particular, they concentrate on physiology, anatomy, nutrition, rehabilitation, and public health. Before they can graduate, they complete one year of clinical experience working in patient care. Once a chiropractor finishes their education, they must pass the NBCE administered national board exam. Following the exam, they must obtain a license from the state they are seeking to practice within. However, a chiropractor never really “completes” their education. To continue to practice and maintain their license, they have to meet their state’s yearly continuing education requirements. Thus, a chiropractor continuously learns about the best ways to help their patients. Chiropractors work hard to learn their skill, and they continue to maintain it to provide you with excellent health options. If you need a chiropractor in Middle River, MD, check out Comprehensive Spine & Sports Center in Essex. Dr. Neil Cohen and his staff offer you chiropractic care tailored to your individual needs. Additionally, if you require physical therapy to help you recover from an accident, injury or recent surgery, we are here to help. Contact us to learn more about our services.